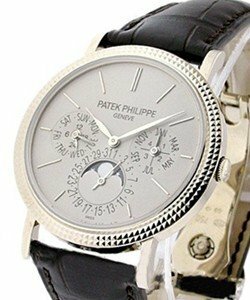 This watch is also known as: 5140G-001 , 5140 , 5140G/001 . 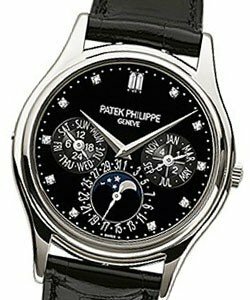 Patek Philippe Calatrava Perpetual Calendar 18kt White Gold Mens Watch. 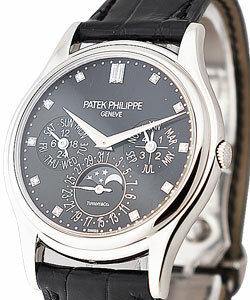 This versatile Patek Philippe Calatrava Perpetual Calendar watch,5140G features a 18kt white gold case. Black alligator strap. 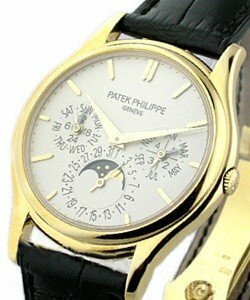 Opaline-white dial. Month, day and date indicators. AM/PM indicator. Moon phase indicator. Sapphire crystal front and caseback. 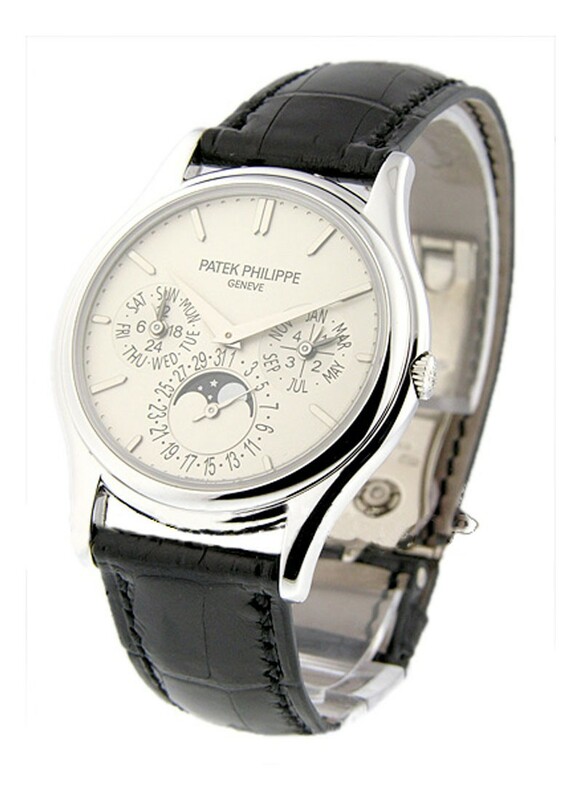 Case diameter 37.2mm. Deployant clasp. Self-winding movement. Water resistant at 25 meters. 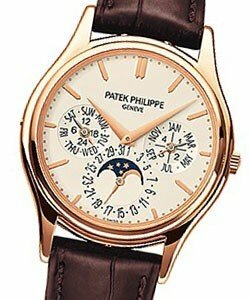 The Patek Philippe Calatrava Perpetual Calendar is a highly recognizable timepiece with a very strong personality.